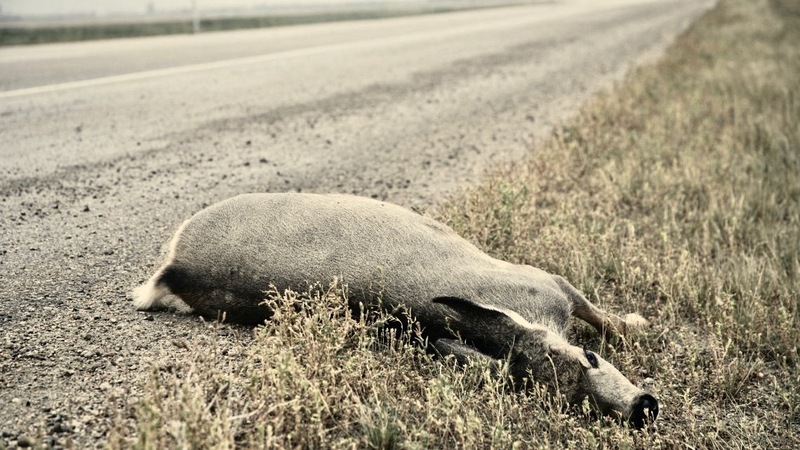 More people eat roadkill than you probably realize. It's legal in many states and, when done properly, it's not as gross as you're imagining! I have a confession to make. I have eaten roadkill. It started back in the 1970s when I was a semi-starving college student. A pheasant made the mistake of attacking my truck’s grill while I was making some time along a rural road. I wanted the feathers for tying flies, but when I picked up the still-warm bird I remember thinking, “Why not?” Over the years my thing for fresh roadkill continued as a sort of one-man underground movement against wasting perfectly good protein, even though doing so was against at least a bazillion laws and regulations designed to protect me — and, as I found out, many others like me — from myself. My, how times have changed. Today, at least 14 states have laws related to roadkill, including those that let motorists keep animals they hit, though some pertain only to deer or bears, according to an informal survey for The Associated Press by the National Conference of State Legislatures. One example can be found in Illinois, where a 2011 law legalizes the retrieval of roadkill. The measure broadened the options under a state law that already let people collect deer killed by vehicles. The law stipulates that carcasses may only be salvaged if the animal is in season to prevent people from poaching them the rest of the year and claiming they were roadkill. And people without the proper license are out of luck. In 2013, the Montana legislature passed a bill that allows for the salvage of deer, elk, moose and antelope killed as a result of a collision with a motor vehicle. To possess salvaged wildlife a person must obtain a salvage permit, which you have 24 hours to apply for. Permits are available at no cost, either through law enforcement officers on the scene of collisions or online. A year after the law passed, the state had issued 865 permits for roadkill salvage. Other states have a wide range of opinions — and laws — regarding roadkill. In Nevada and California, it's illegal to collect roadkill. Idaho allows certain types of roadkill to be salvaged, but only if you notify Idaho Fish and Game. Utah allows big-game roadkill to be collected. Colorado allows roadkill collection if you get a donation certificate or Division of Wildlife tag first. Arizona allows deer and elk carcasses to be salvaged by state officials for use as Mexican wolf food. Roadkill carcasses are collected for personal use or for food charities also in Alaska, Wisconsin, New York, Florida, West Virginia and Illinois. When I lived near Anchorage, Alaska, there were hundreds of moose/car collisions every winter. A group of us sportsmen were on a phone tree to come and help butcher the dead moose for donation to local food banks. The no-cost protein helped feed hundreds of people. Roadkill is not going anywhere, either. Wildlife/auto collisions are on the rise. The Insurance Institute for Highway Safety and the Highway Loss Data Institute reports that during the most recent year for which statistics are available, 175 people were killed on U.S. roads in collisions with animals, most often deer. An annual analysis by State Farm estimates that 1 out of every 169 U.S. motorists will hit a deer over the course of the next year; the auto insurance giant says the odds are up nearly 3 percent from a year ago. There are more drivers on America’s road each year, and with deer numbers booming, how can the odds lessen? Don’t get me wrong. I am not advocating anyone go out and eat dead critters hit by trucks. You have to follow the law and make sure the animal is safe to consume. But the truth of the matter is, people have been eating roadkill for generations. There is actually a bit of a subculture in America built around it. Doubt me? All you have to do is Google it. You can also check out Marketplace’s interactive map about each state’s laws on roadkill. Roadkill. Increasingly, it’s what’s for dinner.